Our treadmills are carefully selected to give the absolute best value for your budget. We help determine which company offers the best treadmill at the best price with the best warranties. No more guess work! Don't spend a dime until you know the facts! Which are the best home treadmills? What treadmill brand should you buy? How much should you spend to get a quality treadmill that won't break down? 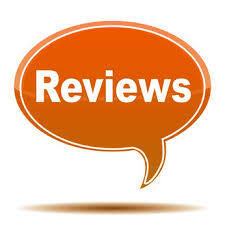 Which treadmill reviews should you believe? We have the honest answers, the best prices, the best selection and the best service you will ever get! Period! The T101 Treadmill is the best Value Buy for walking according to the Good Housekeeping Institute. *IN STORE SALES ONLY. You should buy this product in store, because service on this when bought via on-line is non-existent. This all new ultra compact treadmill/workstation easily folds & fits into any space! TR1200i folding treadmill lets you command each aspect of your fitness, all at an affordable price. Featuring full length hand rails, a max user weight of 310 lbs. a rear entry ramp and an orthopedic belt. Recently named Consumer Reports Top Budget Treadmill! With the Schwinn Journey treadmill, the good life is closer than you think. We won't take credit for inventing the Treadmill Desk - we'll give that credit to Dr. James Levine from the Mayo Clinic. But we will take credit for making a better mousetrap. Coined the best $1000 treadmill available! The newly-updated LifeSpan TR3000i still has all the features you love, with a new full-color touchscreen display. Set your goals and then find the motivation to stay moving toward them with the Elite T7 Treadmill. Spirit Fitness is known for making high end residential equipment. The spacious, 20" x 60" running surface is supported by 8 compression shocks, keeping you striding in comfort. of the best selling treadmills. The Precor 9.23 treadmill is there base model. The LifeSpanTR5500i fold-away treadmill is designed with the runner in mind. Engineered to deliver a superior cardiovascular experience, this LifeSpan folding treadmill features elite components. Consumer Reports #1 Rated Treadmill! The Life TR5000i treadmill delivers superior performance and is built to last. The Elite T9 Treadmill comes with a maintenance free, infinity belt. The Spirit XT685 is one of the most overlooked and underrated Commercial Treadmills in its class. The award winning treadmill blows away the competition! The 9.27 treadmill provides a comfortable foundation for your cardio fitness or weight loss goals. Multi-zone suspension cushions your joints upon impact and with its smaller size, and just the right combination of programs and User IDs, the 9.27 fits into your home and healthy lifestyle with ease. The Star Trac 8921 Treadmill is made with a high quality deck system and powerful motor. Hop on board a Star Trac treadmill and they'll take you on a lifelong journey that's nothing short of breathtaking. The Spirit CT800 Commercial Treadmill is simply an awesome commercial treadmill. The Life Span TR7000i commercial treadmill has just been deemed Runners World top rated treadmill. 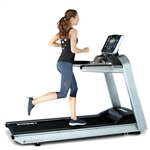 The Bluetooth-enabled TR7000i treadmill completely integrates with your iPad. in the fitness equipment industry. Whether your goal is cardio endurance, weight loss or improved performance, the premium 9.31 treadmill combines the features you need to make real progress. Ground Effects and Integrated Footplant Technology cushion joints and support your stride, while program options keep you motivated. Landice offers LTD treadmills for semi-commercial environments. If purchasing for the home, then you do not need to buy this unit. They are essentilly the same, but are noted different so they know which environment they are in. The L7 Club Treadmills treadmills should only be purchased for a full blown club environment. Bring home the natural feel of an outdoor run or walk with our premium 9.33 treadmill. Ground Effects and Integrated Footplant Technology cushion joints and support your stride. And plenty of programs, User IDs and features keep you motivated and moving forward in health and in life. Star Trac Equipment is seen in more Health Clubs than any other brand! Want the exact machine in nearly every gym? The 932i is a durable, low-impact treadmill and includes the essential features members need in an affordable package. Equipped with Integrated Footplant Technology (IFT) and Ground Effects (GFX) impact control system, users are ensured a dynamic and rewarding workout. We made it easy to Buy a Treadmill Online or Shop our Showroom for the Best Home Treadmills at the best prices! What can a LifeSpan treadmill offer me versus a Precor treadmill? How much should you spend to get a quality treadmill that won't break down? Which treadmill reviews should you believe? We want to help you find the best home treadmill to fit your needs for your own workout routine. We have the honest answers, the best prices, the best selection and the best service you will ever get! Period! We make it easier than ever buy a treadmill online. We offer all the top rated lines including LifeSpan treadmills, Precor Treadmills, AFG Treadmills, Spirit Treadmills, Landice Treadmills and many, many more! For over 25 years, we have supplied treadmills in Boston, treadmills in ma, and treadmills all over the Country!